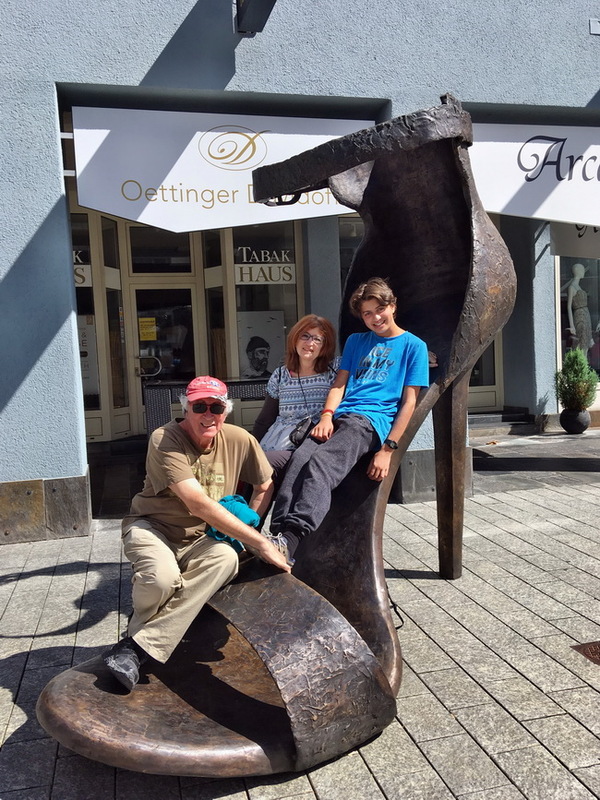 Three can fit into the giant sculptured shoes in the promenade of Valduz, Liechtenstein. 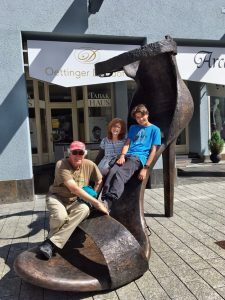 This entry was posted on Monday, February 4th, 2019 at 3:45 pm	and is filed under Art, Europe, Family Fun, Nature, Trafalgar Costsaver European Delight, Travel. You can follow any responses to this entry through the RSS 2.0 feed. Both comments and pings are currently closed. 20 mySQL queries executed in 0.354 seconds.